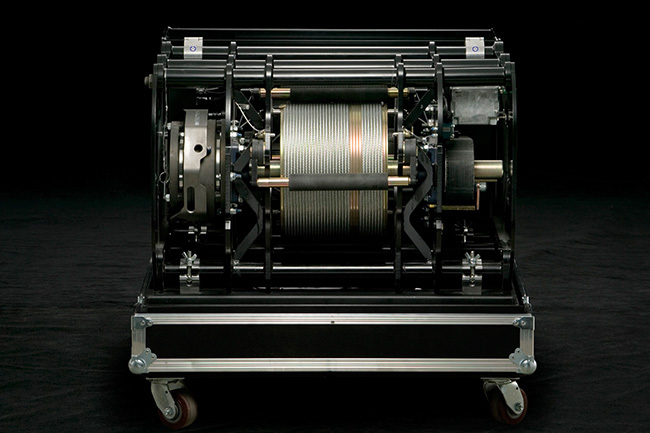 Microtrol has developed a series of acrobatic winches. 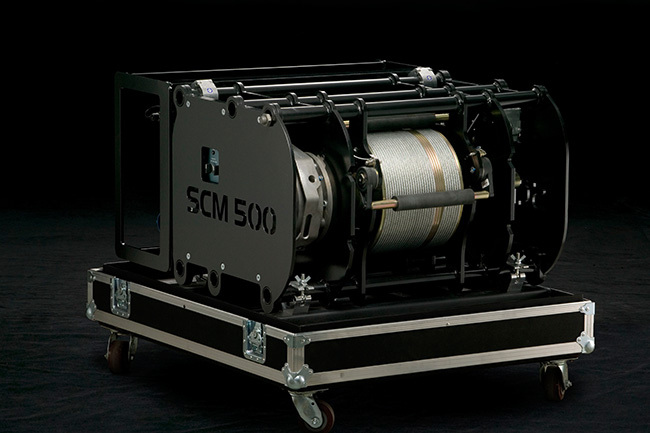 Our SCM-500/10 and SCM-500/15 fill the need for high speed winches. 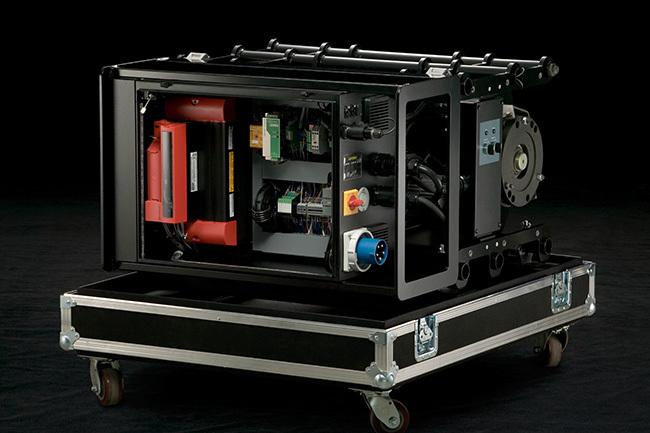 They have a rating of 500 lbs with either 10 or 15 ft/sec speeds. 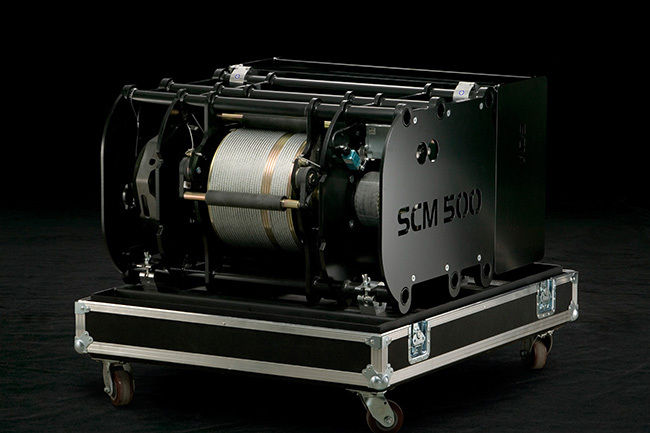 The SCM-1500/3.3 is a high load 1500 lbs winch that can run up to 3.3 ft/sec. 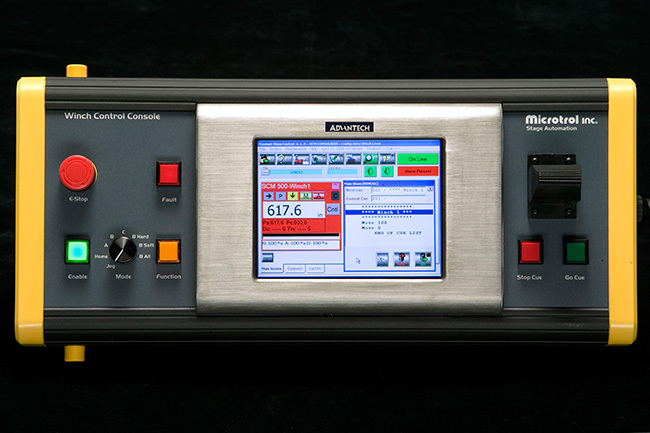 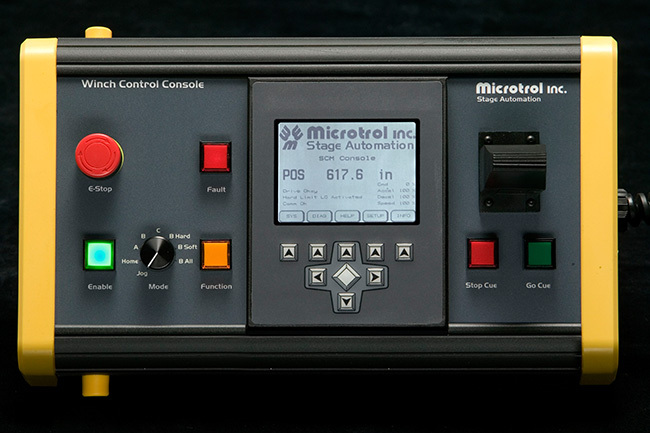 The winches can be controlled using either our standard or advanced pendant as well as from the show control desk.